When you think of weddings you automatically think of love, beautiful dresses and smiling brides, but the reality can be quite different, according to a recent survey of Mercure Wedding Planners across Australia and New Zealand which shows that rows not vows are the focus for a fair share of nuptials. Planning a wedding can be stressful, with the pressure to impress and keep relatives happy turning some blushing brides into blubbering 'bridezillas'. Many brides end up fighting on their big day (26%) – with their fiancé, family or friends. Results from the survey show the three things most likely to cause fighting are: the guest list (23%); the seating plan (19%); and the food and wine selections (17%). And things were especially stressful for Mercure Townsville when it literally hosted four weddings and one funeral (well actually a wake) on a single weekend last year. With brides increasingly seeking a more personalised experience, Mercure's Wedding Planners are often called on to meet unusual demands – such as the bride who asked if she could have two doves painted pink for her ceremony or the couple who wanted an Alice in Wonderland theme, requiring chef to bake 400 biscuits and decorate each one with the words "Eat Me". Then there was the Halloween-themed wedding which required one chef to buy up pumpkins from four different suppliers. Sometimes a wedding can throw up unique challenges for hoteliers who have to balance the demands of the couple with the needs of their existing guests. For example, for a nudist wedding the couple had to be led through the public areas in bathrobes before discarding them at the reception room and staff had to be forewarned of the dress code. At Mercure Melbourne one wedding caused a security scare when a guest from the Mobster-themed party turned up with a fake machine gun. Sometimes being prepared for anything means separating fighting guests, especially as there is often free-flowing alcohol, with 11% of Mercure's Wedding Planners saying they have witnessed physical fights between guests or bridal party members. With food and wine selection causing 17% of fights, the Mercure's Grands Vins selection is very popular with couples, providing a signature list of regional wines at very affordable prices that takes the pain out of choosing the right tipple because the hard work is already done. Sarah Connelly of Mercure Sydney says Wedding Planners have to be prepared to be flexible and inventive, so that when one flower girl decided she preferred the floral arrangement in the lobby to her own bouquet, it was quickly swapped to avoid a mini meltdown. She has even designed a Wedding Emergency Kit after arranging dozens of weddings and seeing how often things don't go smoothly. It includes hair spray, band aids, nail polish and remover, lipgloss, perfume, safety pins, mouthwash, sticky tape, superglue and more – all items that have been needed throughout the years at different weddings. "It is our job to ensure we have everything on hand that a bride might need so she can relax and enjoy the day," she said. One wedding planner from Mercure Launceston took her job so seriously that when a bride spilled a bottle of coke down her dress just an hour before the ceremony, she drove home and loaned the bride her own dress. And it's not just the Wedding Planners who must be flexible. At Mercure Queenstown a performance of the Hakka caused the cake to topple but chef was able to whip up a new cake before the bride and groom took their first dance. Some of the trends emerging in recent years are that weddings are becoming less traditional and more themed, that fewer guests are being invited and that couples are choosing quality over quantity. 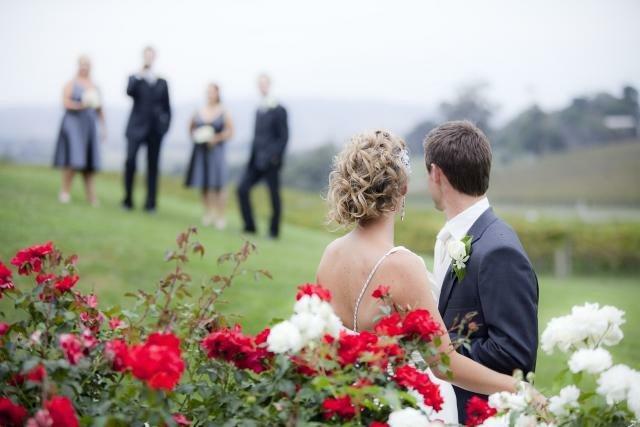 Increasingly, couples are eschewing churches and combining the wedding and reception in one venue, with the Mercure Yarra Valley Balgownie being one of the most popular "all in one" venues thanks to its onsite vineyard, restaurant and gardens. And demand is growing for weddings that go all weekend with guests staying onsite. Another trend is that couples are now often choosing to use their own music selection from their iPods but sometimes the Mercure has to provide entertainment. At Mercure Townsville two weddings have resulted in impromptu concerts from visiting bands Wolfmother and Empire of the Sun who just happened to be staying at the hotel and popped in to give the wedding guests a treat. In both cases the bands did not know the bride and groom. That's the kind of thing that can happen at Mercure! And proving Billy Idol's song a little outdated, Mercure Hotels now offer brides a "nice day for a green wedding" with Mercure offsetting the carbon emissions impact of all weddings (at a cost to Mercure) as part of the brand's commitment to the environment. This means that brides can not only create their own paradise but they can help save the world on their big day. 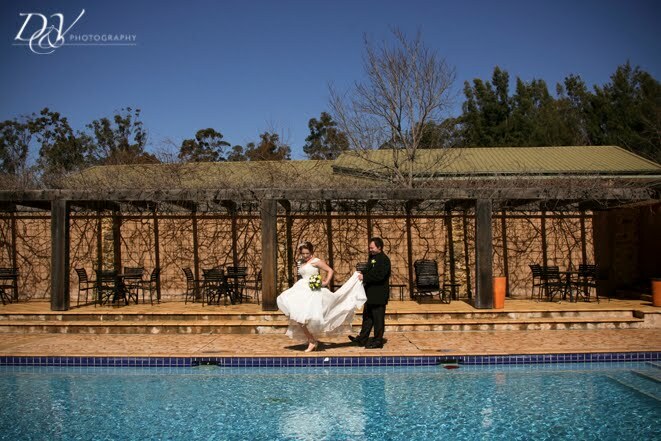 Mercure has 35 hotels across Australia and New Zealand, all of which provide a uniquely personal wedding service in distinctive settings in city centres and resort locations. The most popular locations in Australia include Port Macquarie, Port Douglas, the Hunter Valley and Hobart while in New Zealand, Queenstown, Dunedin and the Marlborough Sounds are all favourites. Mercure is Accor's mid-market brand, offering brides exceptional value for money for their special day, along with facilities and services that reflect each region's local character, culture and personality.